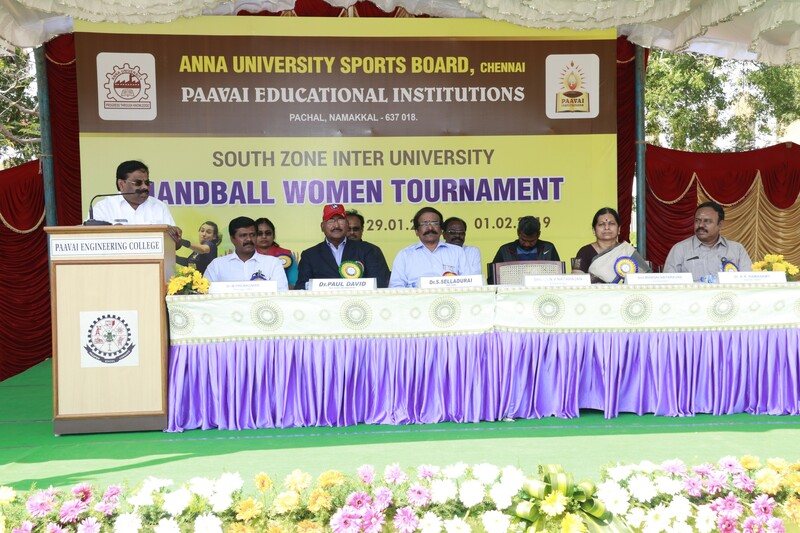 Paavai Institutions in association with Anna University Sports Board organized the South Zone Inter University Handball Women’s Tournament from 29th January to 01st February 2019. The inaugural function was held on 29th January 2019 at 9 am. 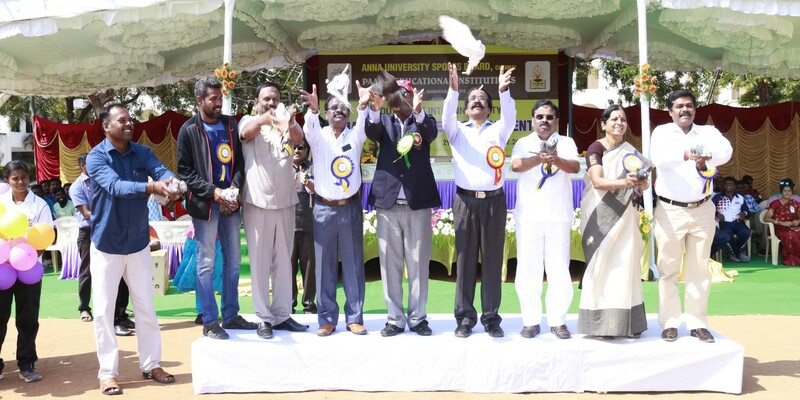 The Chairman and Registrar, Anna University Sports Board Dr. S.Selladurai was the special guest for the function. 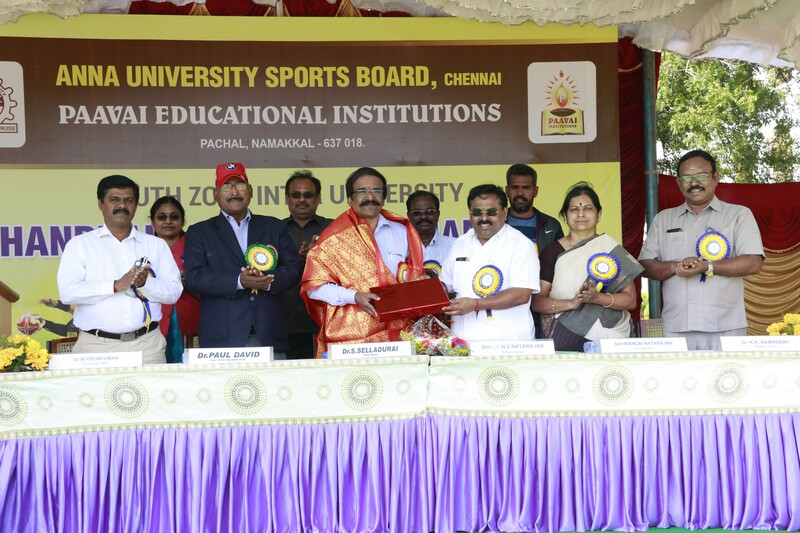 Paavai Institutions’ Chairman and Auditor Thiru N.V. Natarajan presided over the programme. Our Director Administration Dr. K.K.Ramasamy delivered the welcome address. 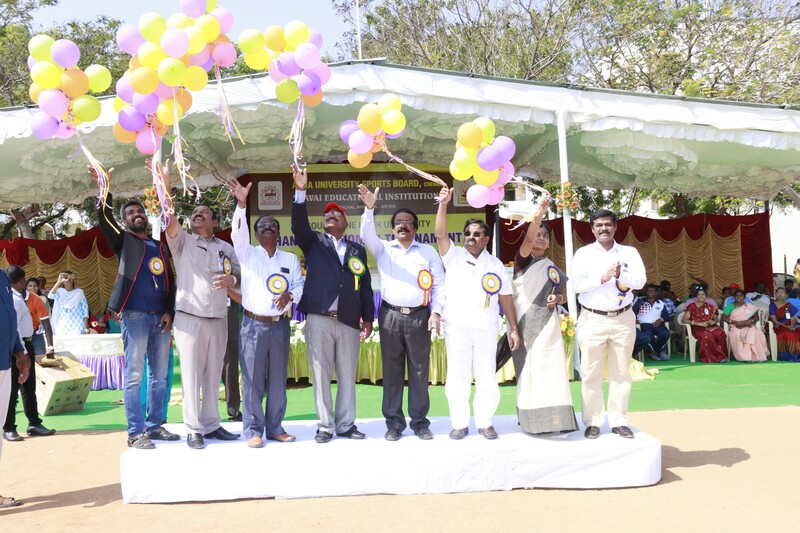 Dr. S.Selladurai highlighted in his special address that Paavai Engineering College has clinched the Over-All championship consecutively for four years and it has taken up the responsibility of conducting the Inter University tournament. He upheld that, Sports creates enthusiasm and helps to develop the strength of the body and the mind. In addition, he stressed that effective participation is more required than winning the trophy, which is a real success. Hence, all the enthusiastic in practice and participation to fulfill this goal. I wish the entire sports contestants to achieve in the International Competitions and bring laurels to our nation. Dr.Paul David, Member of Indian Universities Association felicitated the gathering. Following that dignitaries were honored by our chairman with bouquets. In this tournament contestants from 38 universities from 6 states of our country were participated. Our Correspondent Tmt. 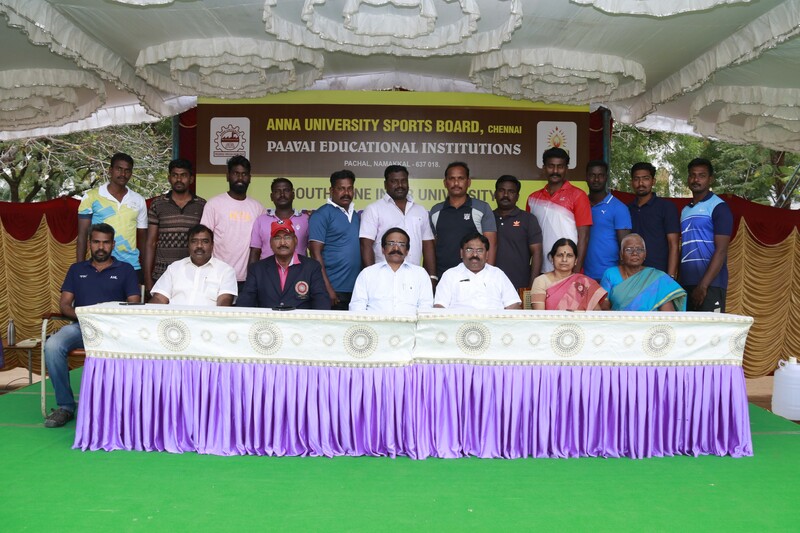 Mangai Natarajan, Anna University Deputy Director of Physical Education Dr.S.Sundararajan, AUSB Secretary Dr.S.Balaganesh, Principals of Paavai Institutions, HODs, Staff Members , Directors of Physical Education, Coaches and team officials graced the occasion with their presence. At the end, Paavai Engineering College Principal Dr M.Premkumar, delivered the vote of thanks. 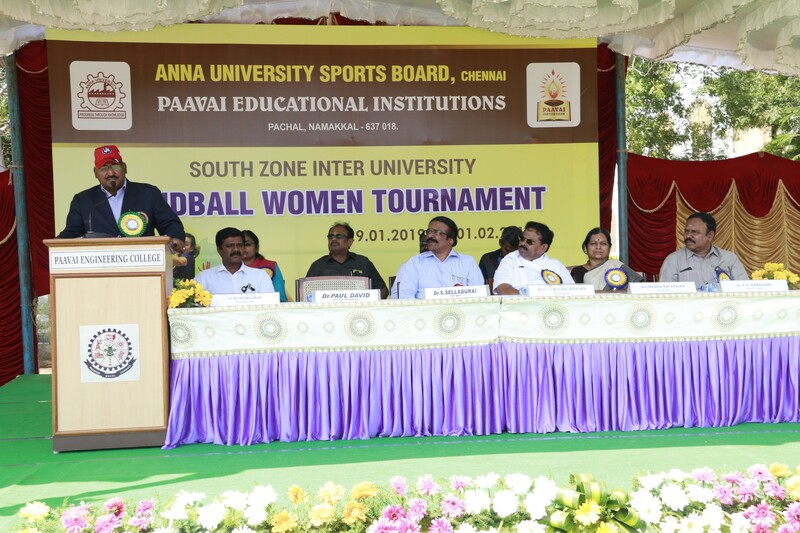 Valedictory function of South Zone Inter University Handball Women’s Tournament held on 01st February 2019. 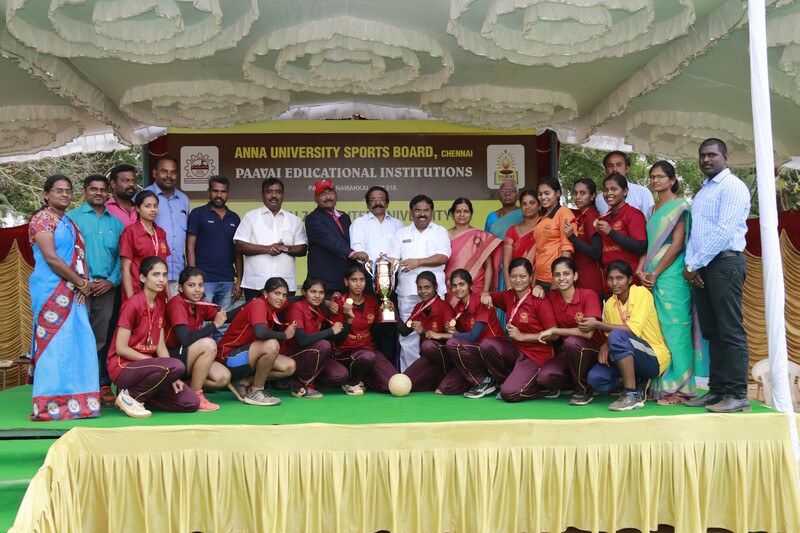 Paavai Institutions in association with Anna University Sports Board organized the South Zone Inter University Handball Women’s Tournament from 29th January to 01st February 2019 on the Paavai premises. 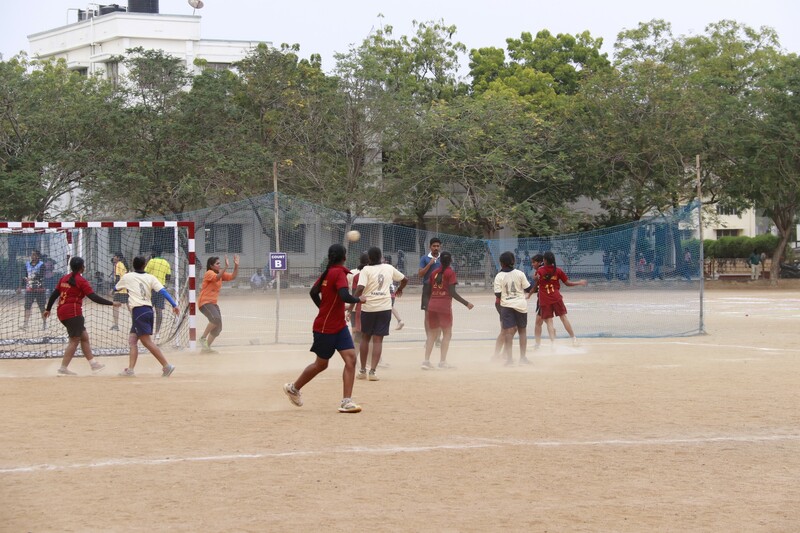 Participants from 38 Universities across the country took part in this tournament. 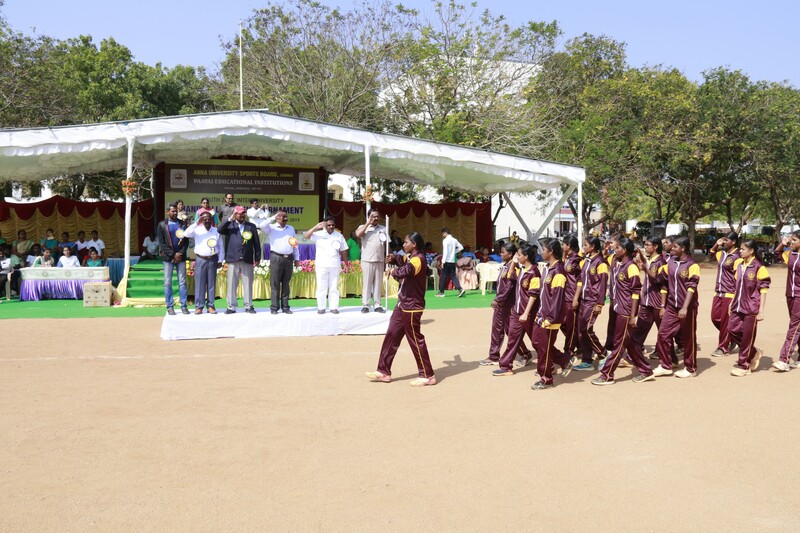 The prestigious winner position was clinched by Anna University, Chennai in which 5 participants were from Paavai Engineering College, and the runner by Periyar University, Salem in which 3 participants were from Pavai Arts Science college for Women. In continuance, our Paavai Chairman & the special invitees distributed the prizes to the winning teams. The special invitees were honored by our Chairman with mementos. Our correspondent Tmt. 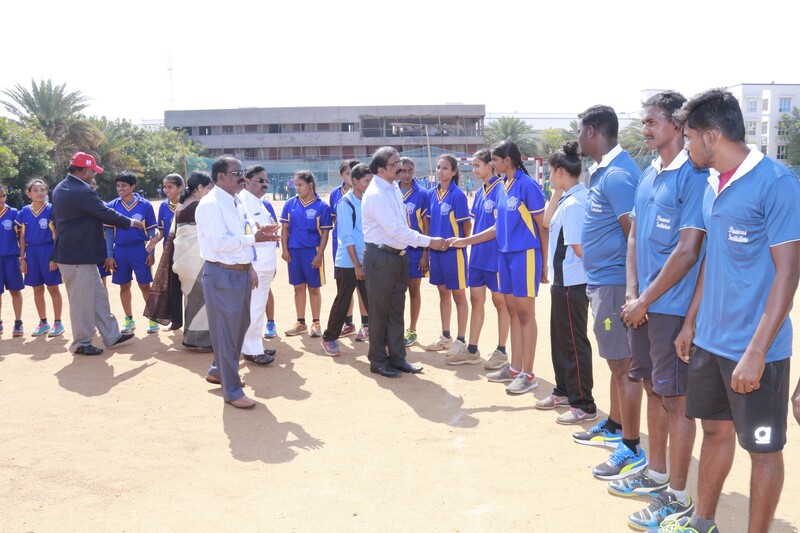 Mangai Natarajan, Anna University Deputy Director of Physical Education Dr.S.Sundararajan, AUSB Secretary Dr.S.Balaganesh, Principals of Paavai Institutions, HODs, Staff Members, Directors of Physical Education, Coaches & team officials graced the occasion with their presence. The programme ended with the national anthem.